A collective of community organisations, businesses and individuals with concerns about the planning and consultation process of the new proposed flight paths for the Sunshine Coast Airport, united on Thursday 11 April at Verrierdale Hall for community consultation run by Airservices Australia. The Flight Path Forum association voiced their concerns and requested an updated Environmental Impact Statement report to Airservices Australia at the community consultation meeting. A representative of Flight Path Forum, Maria Suarez, said that they want as many people in the community to attend these information sessions so that everyone can become informed about what is actually happening with the flight paths. “In the original consultation period in 2014 they didn’t letter box anyone north of Coolum with the information,” Maria said. 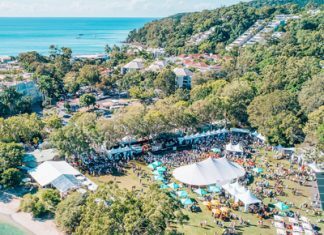 A Sunshine Coast Council spokesperson said that they took every effort to inform residents about the project, resulting in the requisite project approvals being granted by State and Federal Governments. 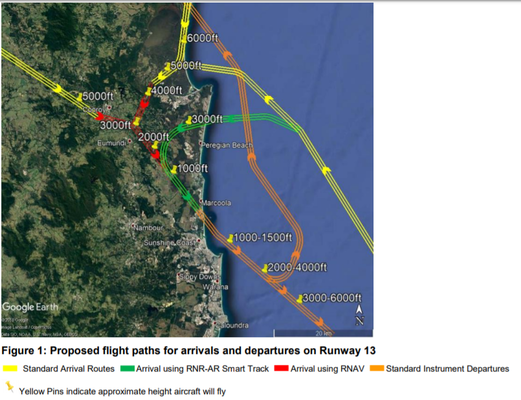 A Sunshine Coast Council spokesperson said that there is misinformation being circulated in the community and that an analysis of the flight paths and airspace design indicates there has been minimal change to the information originally provided in the EIS to the community in 2014 and 2015, including details of the flight path which crosses the coast between Marcus Beach and Castaways Beach. 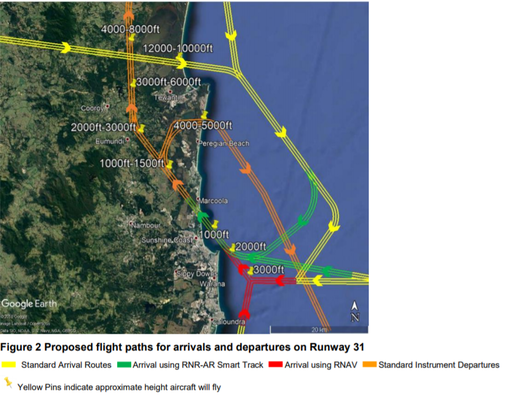 Aircraft over Marcus Beach and Castaways Beach on the proposed path will be higher than 3000 ft and residents can expect to experience less than 63 decibels of noise if located directly under the centre line of the flight path. A Sunshine Coast Council spokesperson said they have been advised the proposed airspace changes will not impact on the collection of rainwater and studies have demonstrated that emissions will be well below Environmental Protection (Air) Policy air quality objectives. The community engagement is being run by Sunshine Coast Council, Sunshine Coast Airport and Airservices Australia. All feedback will be compiled and considered by Airservices Australia in finalising the airspace and flight path design. Submissions close on the 30 April 2019 and community members can make a submission to Airservices either at a consultation session, or online at https://feedback.emsbk.com/asa.